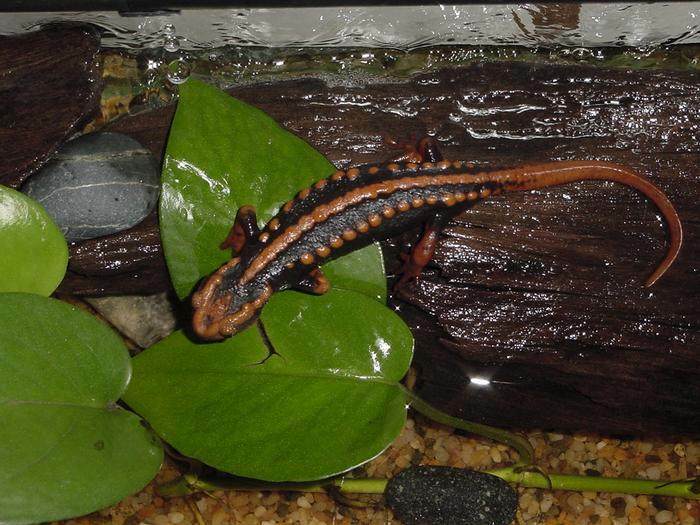 Caudata.org > Newt & Salamander Forum > Advanced Newt & Salamander Topics > Species, Genus & Family Discussions > Crocodile Newts (Tylototriton & Echinotriton)... > Tylototriton verrucosus VS Tylototriton shanjing?? 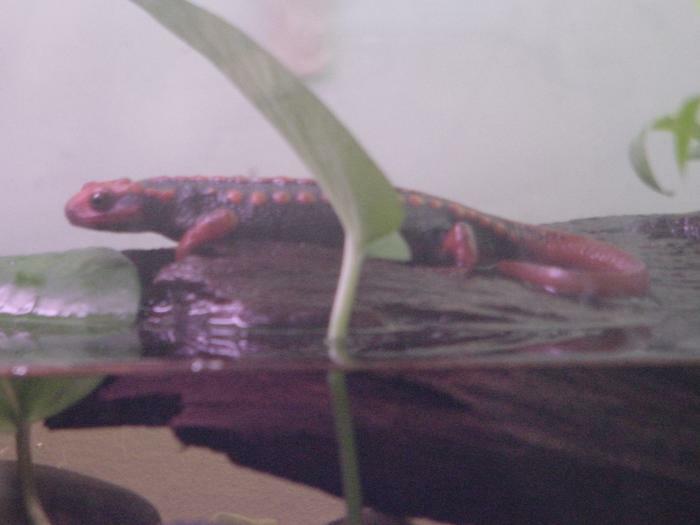 Crocodile Newts (Tylototriton & Echinotriton)... Two popular genera of Asian newts, the crocodile newts are diverse of habit, habitat, and appearance. 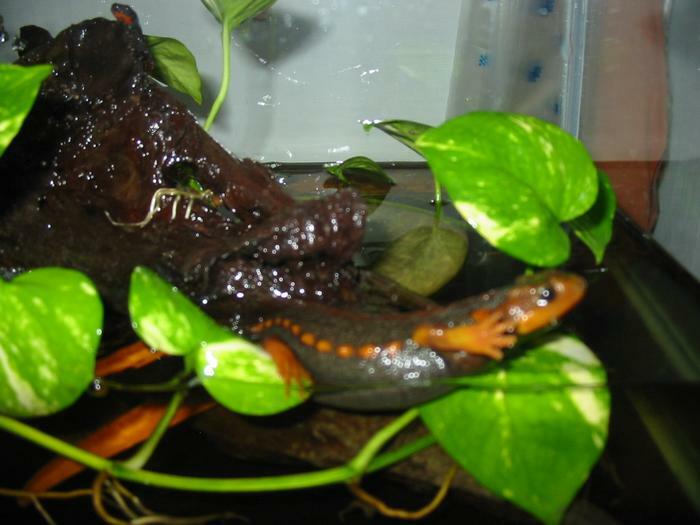 The Mandarin or Emperor Newt, Tylototriton shanjing, is highly sought after. i have a ID problem between this two, what is the main differences between this 2 species. Furthermore T. shanjing is a lousier swimer right? is there a difference between the 2 of them??? Those are both T. shanjing Alex. T. shanjing can swim perfectly well, it just usually doesn't want to except during the breeding period. Hmm, just noticed you have three photos there - the third one is hard to identify. The third one (from above) looks like some of my "verrucosus complex" - animals. Yeah, it does look verrucosus-like but there's a chance it could still be a shanjing - the photo isn't exactly clear. thanks John, whats the easiest way to ID between the 2??? and is a frozen bloodworm diet with mealworms ok? and how u guys feed the mealworms to them if so??? Look at the info sheets on Caudata Culture for photos. If you took a better photo of that third animal we could tell you which it is, but the other two photos are definitely T. shanjing. I don't advise feeding mealworms and I don't think many others who have kept newts for a long time would advise them either. Frozen bloodworms are a decent staple food but you need to feed them something else too - I would advise earthworm pieces. In the third pic, I can see a firebelly peeking over the driftwood. These newts aren't in the same tank are they??? Alex, I'm no expert on Tylotos, but if these guys seem to prefer to stay up on the islands, I would suggest moving them to a setup with more land area. They may be going into the water only to seek a way to escape or a hiding place. The second photo certainly looks like a shanjing to me. And I agree with chris, they should not be in the same tank with C. orientalis. i will keep in mind not to feed mealworms, cos some local hobbyists recommend feeding mealworms which have just moulted and the body is very soft.